The happy marriage between Kelis and rapper Nas came to a crashing end last month. It came after a serious divorce battle between the musical couple. Kelis had grown upset with Nas for still living the single life. They reached a truce and the result of their happier time was Knight, their son. The couple agreed, under Kelis' wishes, to keep the pregnancy a secret. But, Nas informed the world she gave birth last July. Already tired of Nas, this was the last straw for Kelis and she filed for divorce. There was so much on her table and Kelis did not want to be bothered with Nas and his mess. During their divorce, Kelis tried to take Nas for a ride. She demanded $800,000 from him in spousal and child support. The court ruled against this, but Nas did pay her. Even with the money, Kelis refused to allow Nas to see his son. The divorce went final earlier this year and both parties were glad to be away from each other. 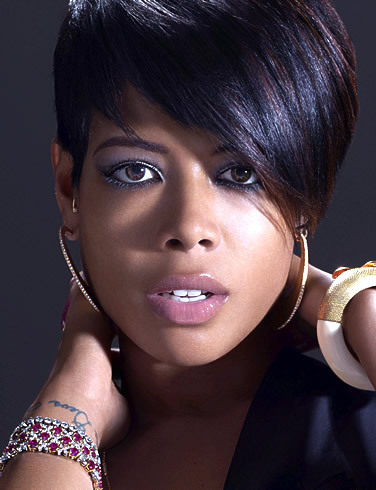 Recently, Kelis began putting her career back together and she signed with will.I.am's label. Early next month, on July 6, Kelis will release her next album, Flesh Tone. Kelis denied her divorce from Nas being bitter, but said the two were only friendly towards each other sometimes. During the divorce, Kelis and Nas tried to get back together for the sake of their son, but things did not work out. Officially over Nas, Kelis is dating someone new, but she is not giving out any names. Nas recently dissed Kelis on his song, "Strong Will Survive."